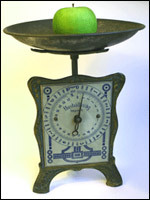 In the home, we have had household scales for a long time. Scales are used among other things for cooking and baking. The scale in the picture is from the end of the 1800’s. Some people compete in who can lift the most. Some bridges can’t handle too heavy traffic. 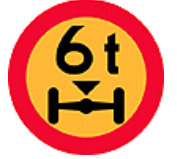 The sign in the picture gives drivers information about how much trucks together with their contents may weigh at most. Many people think about their weight. It can be both good and bad. With today’s fixation on looks, weight has become important while it also shows that many live unhealthy lives.